Skillman Park is the newest park in the park system. 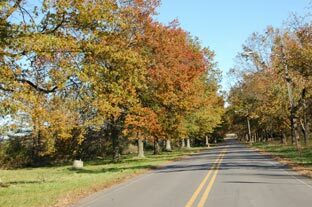 The 247-acre park is located off of Route 601 in the Skillman section of Montgomery Township. The park features wide beautiful vistas, and a 2.25 mile paved multi-use loop trail. There are several parking lots, so that park visitors may begin their walk at several points throughout the park. Benches are located strategically as well, so that visitors may sit and enjoy the landscape. Chess tables are available at one of the trailheads; simply bring chess pieces and enjoy a game in the park. Located off Main Boulevard, Parking Lot A is a leash-free dog run. This 2-acre fenced in park is separated into sections for small dogs and large dogs. The dilapidated buildings are gone, the loop trail is finished and new landscaping and signage grace the entrances to the 247-acre Skillman Park. Officials and residents celebrated the park’s grand opening April 23 with a ribbon-cutting ceremony. 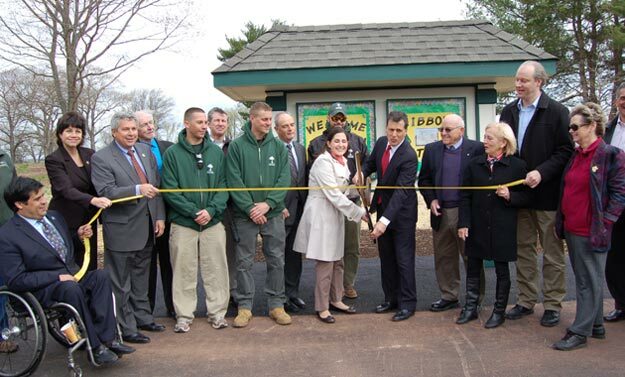 “The grand opening of Skillman Park adds another jewel to Somerset County’s crown of beautifully pre...served parkland,” said Freeholder Director Mark Caliguire. As a former township mayor and now as a county official, he has been involved in plans for the property for several years. “The transformation of this property has been phenomenal,” Freeholder Director Caliguire said. “When you look at pictures of the old power plant and other run-down structures that were languishing here, you can’t help but be impressed by the amount of careful and thorough work that has brought us to this point today – the grand opening of another lovely Somerset County park. “The county Park Commission staff and leadership did an amazing job,” he said. “Their hard work and vision has produced exceptional results. “This site was in danger of remaining a brownfield, being turned into thousands of homes or even COAH apartments,” he noted. “Instead it is now preserved forever as a beautiful park.”“Montgomery is very fortunate to enjoy Somerset County’s newest park in our community!” said Mayor Christine Madrid. “We are grateful to the county Park Commission for working with us and the Skillman Park Planning Committee to create such a beautiful public space in the heart of our community. What a contrast to what was here before! Residents are going to find so much to enjoy in this great new community resource.” County crews and contractors have created an attractive new look and amenities at the passive recreation-focused park. A 2.2-mile, 12-foot-wide, paved multi-use loop trail has been built along much of the former facility’s road and driveway network. New fencing, signage and landscaping have been installed at the park entrances. Much of the breathtaking, tree-lined road layout, designed by noted landscape architect and engineer Charles W. Leavitt in 1901, has been preserved. Old paving was removed so that the center of Larocque Circle will be open lawn with a small parking area. Main Boulevard has been repaved and sufficient parking has been added or improved in four convenient locations. Much of Skillman Park will remain a natural setting. 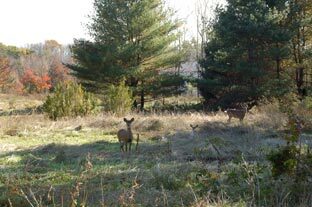 Certain areas within the park will be considered for the creation of wildlife habitat through proper planting and maintenance practices. Buffers will be maintained along stream corridors for wildlife use and to improve water quality. An overlook area along the Rock Brook will provide a view to a wetlands restoration project the county will undertake using a state grant. A group of Montgomery volunteers from the Environmental Corps and Friends of Open Space has so far planted more than 50 trees as part of an ongoing reforestation project, in cooperation with the Somerset County Park Commission and Township Open Space Committee. The North Princeton Developmental Center Sacred Grounds, an existing cemetery for the former facility that was on the site, has been cleaned up, fenced and replanted by Park Commission maintenance staff with the assistance of three girls from Montgomery Girl Scout Troop 236 – Sophia Sharpless, Jenna Devchand and Claire Decker – as their Silver Award project. Once known as the New Jersey Village for Epileptics, the facility evolved into a psychiatric facility in the 1950s and was called the North Princeton Developmental Center. It was closed by the State of New Jersey in the mid-1990s and the property was purchased by Montgomery Township from the state in 2007. 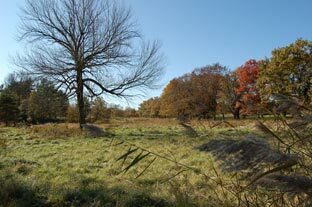 The county bought the 247 acres from the township in 2011, with funds ultimately coming from the county’s Open Space, Recreation, Farmland and Historic Preservation Trust Fund. The Skillman Park Planning Committee includes Montgomery Township residents Lysa Wilson and Emad AbouSabé, Township Open Space Committee Chairman Clem Fiori, Freeholder Director Caliguire, Freeholder Patrick Scaglione, County Administrator Michael J. Amorosa and Park Commission Secretary/Director Raymond A. Brown. E-mail the Park Ranger Dept. with any park questions or comments.